Drug addiction is a brain disease. It is a chronic and complex mental disorder. Drug addiction occurs when you start taking one or more physically and mentally addictive drugs to the exclusion of all else. Addiction is characterized by the maniac desire for the drugs (drug craving), constant seeking and use the drugs even being aware about all negative consequences of drug abuse. Drugs become the main priority above the other ones including family, career, health. Drug addiction is also called a chemical dependence that is characterized by developing physical and mental addiction, creating destructive pattern of drug abuse with growing tolerance and withdrawal syndrom. Tolerance is a state when more and more of the substance in needed to achieve the original euphoric effects. Tolerance is fast growing process which soon reach the point when even the enormous doses of substance don't bring the high, but they are needed just to keep from going into detox and experiencing withdrawal symptoms. Yes, all drugs are addictive. Experts distinguish physical and mental dependence on drugs. Some drugs such as opioids are very potent and physical dependence on them develops after just a few uses. The other drugs are less addictive. However the degree of addiction on them can also be very high. Mostly it depends upon the constitution and genetic predisposition of the drug user. Creation of dependence on crack cocaine, crystal meth, marijuana, alcohol and others takes a little bit longer, but once physical/ or mental addiction on them is set up it is just as severe. HOW QUICKLY MAY I BECOME ADDICTED TO DRUGS? If you ask this question considering going on drugs just for fun for a short period of time, hoping that you will be able to control the situation and go out of it easily without facing negative consequences of drug abuse, you are completely wrong. We strongly recommend you not to do that. You play with a fire. It might be a deadly game. No one is ready for a miserable life of a drug addict or even death from overdose or fatal infection when he/she tries drugs for the first time. Everybody is pretty sure about him/herself, about his/her inner volitional mechanismsl. And this is where the common mistake come from. No one is able to control biochemical processes, drug linked changes in a brain that involve multiple brain circuits, including those responsible for governing self-control. Pleasurable effects of drugs and desire to repeat drug experience again leave indelible trail on your brain no matter if you want it or not. There is no way of knowing in advance how fast you will become addicted to drugs. It depends on many factors such as gene factor, general physical condition, age, gender and combination of these factors. All drugs are harmful and use of them may have life-threatening consequences. WHAT IS THE PHYSICAL DEPENDENCE ON DRUGS? Physical dependence on drugs is a state when the body gets used to drugs and needs continiuosly growing doses of narcotic. Finally the drugs are merely taken only to neutralize the withdrawal symptoms, to be in condition which let an individual somehow to function normally. This is effect of tolerance. Within the time the body is getting used to the presence of drugs, resulting in clear symptoms of withdrawal in case cessation of drug use. The withdrawal symptoms can be very severe and often unbearable. They are cold-hot flashes, goose bumps, running nose, vomiting, stomach cramps, severe muscle and joint pain, restlessness, increased anxiety, irritability, aggressiveness, sleep disorders, emotional depression. WHAT IS THE RISK OF OVERDOSE? The risk of overdose is present every time you “make” drugs. You never know what stuff you use and in what dose. Every time you play the Russian roulette running the risk of resiratory failure, seizures, convulsions, heart attacks or toxic effects resulting in multiple inner organs failure, edema, coma and even death. 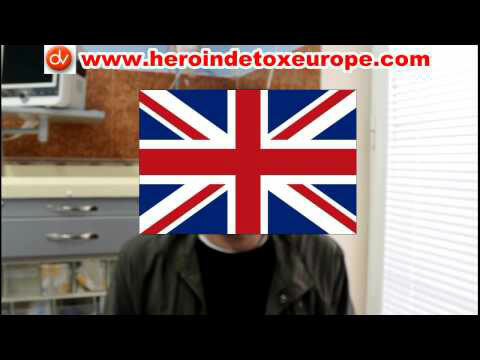 HOW EFFECTIVE IS TREATMENT FOR DRUG ADDICTION? 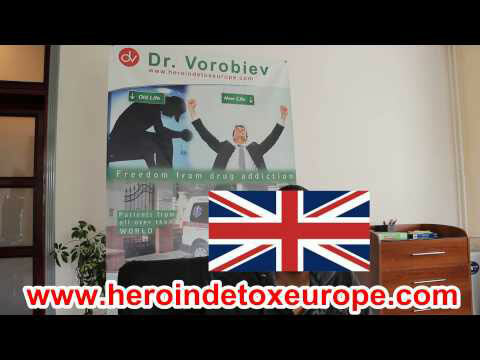 You must know that drug addiction is a curable disease. But it takes courage and strength to face up to problem. There’s no magic bullet or single treatment that works for everyone. Drug addiction treatment must be customized to individual's unique problems and personal situation. Treatment must be complex to be effective. It must include several obligatory stages: drug detoxification, mental dependence treatment, pharmacological blockade by Naltrexone, psychological correction and maintaining therapy lasting for up to one year. Treatment should address more than just drug abuse because addiction affects the whole life of an addict, including family and social relationships, career, health, and psychological well-being. Drug detoxification is a process of cleaning the body out of a drug while alleviating the symptoms of withdrawal. Detox by itself is not a treatment. The root of drug addiction is a mental dependence. Without curing craving for drugs we can't speak about effective treatment of addiction. Anesthesia assisted detoxification ( Ultra Rapid Opioid Detoxification). Complex of measures directed to speed up the process detoxification while being in a state of medical sleep during 6-8 hours. Neuro-jet detoxification. Modern technology. Use of special electronic device to stimulate endogenous opioid system, to restore deficit of natural level of opioids in a body and thus to alleviate withdrawal symptoms. It is a comfortable detox which lasts up to 3-5 days. Opioid replacement therapy (ORT). Use of full or partial opioid agonists ( Methadone, Subutex) to overwhelm addiction to Heroin. Nowadays it is considered as a controversial treatment with doubtful outcome. WHAT IS NALTREXONE PROTECTION? HOW EFFECTIVE IS IT? Naltrexone (Vivitrol) is an opioid receptor antagonist used in treatment of alcoholism and opioid addiction. Naltrexone blocks the effects of opioids. Being opioid antagonist, Naltrexone simply blocks access of opiates to opioid receptors preventing by this release of mediators responsible for pleasurable effects. 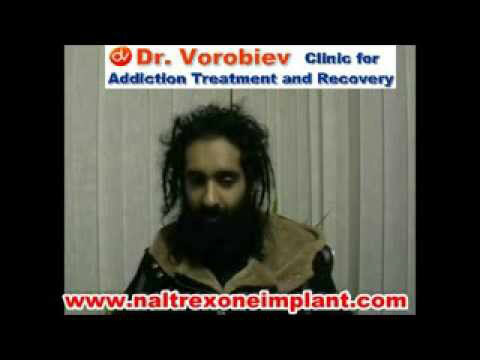 Naltrexone doesn't cure craving for drugs. It simply neutralizes the effects of opioids. Nowadays Nalrexone protection is considered as a highly effective method of treatment of opiate (Heroin) addiction in terms of prevention of relapse.